The MissNowMrs offices are based in the Washington, D.C. area… so when we launched our new name change app, we were beyond excited to share our news with a reporter from Washingtonian Magazine! For those of you who aren’t familiar, Washingtonian Magazine is the D.C. go-to glossy for local business, restaurant, and cultural news. In our decade-plus in business, we’ve had the good fortune to be mentioned in magazines like BRIDES, InStyle, Travel & Leisure, Martha Stewart Weddings and Town & Country Weddings. But, we’ve never been featured in Washingtonian. It was an honor to share how our founder’s own name-change nightmare sparked the idea for the MissNowMrs.com online name change service, how we customer-funded our growth and innovations over the years, and now how we’re disrupting the wedding industry niche we created with the MissNowMrs Name Change App. We sincerely appreciate the support of a local publication (and our office celebrated with champagne when the article was published.) Huge thanks to Hayley Garrison Phillips for the write up! Read the full Washingtonian write up here! 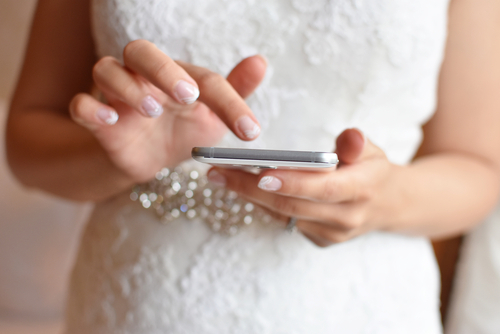 And if you’re curious how our hot new app helps newlyweds Snap… Tap… and Become a Mrs. ASAP head over to the App Store and download it for free.